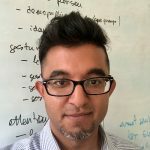 As Managing Director and Head of Machine Learning, Sourav is responsible for the overall delivery of data science and data product services to make clients successful.Before Manifold, Sourav led teams to build data products across the technology stack, from smart thermostats and security cams (Google / Nest) to power grid forecasting (AutoGrid) to wireless communication chips (Qualcomm). He holds patents for his work, has been published in several IEEE journals, and has won numerous awards. He earned his PhD, MS, and BS degrees from MIT in Electrical Engineering and Computer Science.